#NasaInWestPokot Modern Kapenguria five(NASA) welcomed in West Pokot with Jubilee disturbing/Worrying numbers. - Bana Kenya News, Real African Network Tubanane. Home featured News #NasaInWestPokot Modern Kapenguria five(NASA) welcomed in West Pokot with Jubilee disturbing/Worrying numbers. #NasaInWestPokot Modern Kapenguria five(NASA) welcomed in West Pokot with Jubilee disturbing/Worrying numbers. NASA camp was taken to Kapenguria in West Pokot where community leaders and political leaders welcomed them. They visited the Kapenguria prison where the MAUMAU fighters were taken to the captive. The NASA-Pentagon today visited the historic Chelanga Grounds, Kapenguria in West Pokot County. Kapenguria is where six significant freedom fighters including Bildad Kaggia, Achieng Oneko, Kung'u Karumba, Paul Ngei, Fred Kubai and Jomo Kenyatta were tried by the Colonial Government during the struggle for the first liberation. "Our visit to these historic grounds was to place ourselves before the people, to be tried and tested, as we offer ourselves as alternative leadership to the country." 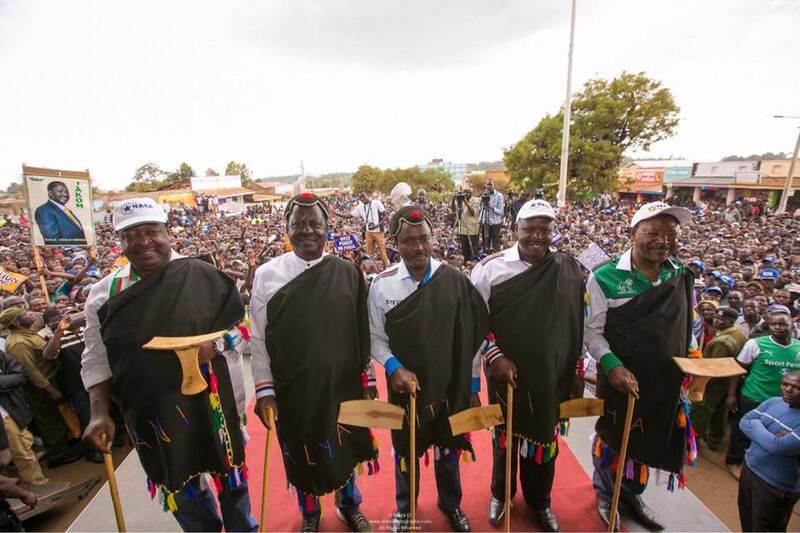 "We offer a leadership that is willing to listen to the cries of border conflict, economic neglect, poor infrastructure and a high cost of living for the residents of West Pokot and Rift Valley at large." Raila Odinga stated. "Tuta imarisha usalama nchini kote ili wakina mama wasihofie maisha ya watoto wao tena. #NasaInWestPokot" NASA leaders claim. The NASA team described themselves as the modern Kapenguria five. It is only from the Kapenguria five Kenya got independence. he Chama Cha Mashinani got massive support and more than 50 Jubilee leaders defected o NASA. They said they will now vote as for how they did in 2007.